A review of literature on social movements highlights its many and sometimes conflicting definitions. Relying on Saba Mahmood’s Politics of Piety (2005) – an ethnographic account of grassroots women’s piety movement in the mosques of Cairo – and literature on Islamic feminism, I ask whether religious movements are social movements and show that social movement theories and concepts such as ‘feminism’, ‘secular’ and ‘religious’ are the product of a specific set of discourses inscribed in western academic history. This paper thus calls for more systematic questioning of the analytical categories used in the social sciences, and more permeable boundaries between academic disciplines. In Politics of Piety (2005), Saba Mahmood carries out a detailed ethnography of a large grassroots women’s piety movement in the mosques of Cairo which aims to promote a return to Islam. Part of a broader Islamic Revival movement, this women’s movement has often been overlooked by scholars because it did not target the state with specific claims or demands for reform, and was thus not considered particularly influential in the Egyptian political landscape. Mahmood argues in her book that the moral reform promoted by this piety movement was in fact very political. In a somewhat similar vein, David Snow (2004) questions the tendency of social movement scholars to gloss over forms of collective action that do not necessarily target the state, calling for a reconceptualization of social movements; this reconceptualization would encompass other forms of social movement activities which constitute routine forms of action and resistance, such as religious or piety movements. In this paper, I ask what makes a social movement, and more specifically whether religious movements are social movements. The case of the women’s piety movement in Cairo is particularly interesting because it is both invariably referred to as a ‘movement’ and concerned with social change. But is that enough for it to be considered a social movement? Indeed, its repertoire of action is in many respects unlike actions such as street protests and sit-ins which are usually adopted by most contemporary social movements. From a social movement theoretical perspective, the ambiguities in the women’s piety movement in Cairo makes it all the more interesting, especially in light of the recent events that occurred in the spring of 2011 in the Arab World. This paper will focus on Egypt and the women’s piety movement. First, I will identify the main characteristics of this piety movement, relying on Mahmood’s detailed ethnographic account of the fieldwork she conducted from 1995 to 1997. Second, I will investigate the ways in which the piety movement is inscribed in a broader Islamic feminist movement. This will lead to a reconceptualization of social movement theories in the third and last section of this paper. The women’s piety movement in Cairo, also called the da’wa movement, is part of a broader Islamic Revival which started to spread through the Muslim World in the 1970s. According to Mahmood, the term Islamic Revival refers “not only to the state-oriented political groups but more broadly to a religious ethos or sensibility that has developed within contemporary Muslim societies” (2005, 3). This perspective is shared by Richard H. Dekmejian (1980) who provides several explanations for the emergence of the Islamic Revival in Egypt. First, Egypt became an important American ally from 1973 onward because of its strategic geographical location in the Middle East, its control over the Suez Canal and its military force. This led to an increasing liberalization of Egyptian economy as well as the ‘westernization’ of Egyptian society, both of which are denounced by those who participate in the Islamic Revival. Second, the new Egyptian-American alliance led under President Anwar Sadat rule led to a rapprochement with Israel with the Camp David accords in 1978. This considerably weakened Egypt’s influence in the Middle East and President Sadat was blamed for not putting forward Arab interests, and especially for failing to obtain from Israel any recognition of the Palestinians’ rights to self-determination or any agreement on the status of Islamic holy places in Jerusalem. Third, despite the United States’ aid and other western countries’ investments, the economy of Egypt remained unstable and massive unemployment as well as housing shortages was met with increasing popular discontent. The situation did not seem to have changed significantly when Mahmood did her ethnographic fieldwork between 1995 and 1997. The women’s piety movement she studied favours a return to ‘true Islam’ in order to counter the change in mentalities and customs that accompanied economic liberalization (Mahmood 2005, 44). 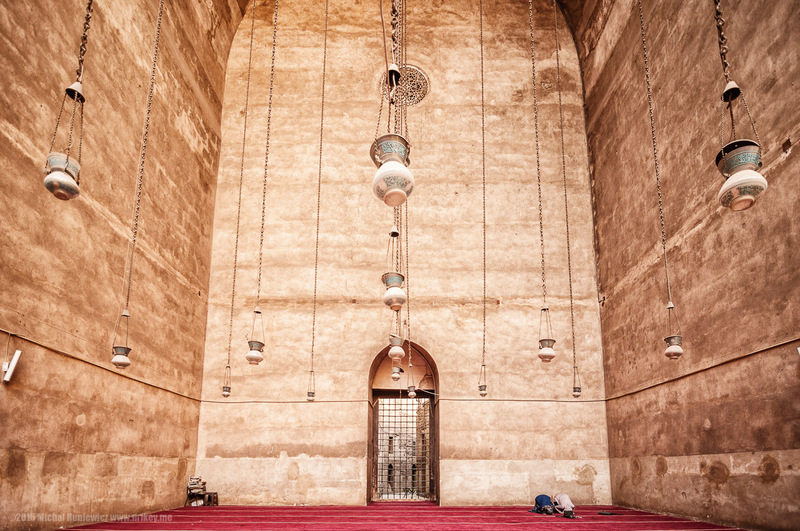 The women’s mosque movement is integral to a larger piety movement that attempted to islamicize the socio-cultural landscape of Egyptian society. Concretely, it started with the establishment of weekly religious lessons and pious readings in urban communities in the 1970s and the 1980s. These public meetings, which marked the first time women could teach each other Islamic doctrine, rapidly grew in popularity and by the time Mahmood began her fieldwork, “this movement had become so popular that there were hardly any neighborhoods in this city of eleven million inhabitants [Cairo] that did not offer some form of religious lessons for women” (2005, 4). In terms of scope, the attendance of each weekly religious meeting could range between ten to five hundred women, depending on the popularity of the teacher (Mahmood 2005, 4). Furthermore, Politics of Piety (2005) provides a detailed account of the differences among mosque groups in terms of their attendees’ class and social background, as well as the different rhetoric favoured by the women religious teachers who preach there. However, regardless of the differences between mosque groups that constitute the da’wa movement, they all share a common concern for the increased ‘secularization’ and ‘westernization’ of Egyptian society which erodes the Egyptian social fabric by making Islam “an abstract system of values that is to be cherished but that, nonetheless, remains inessential to the practical organization of day-to-day life” (Mahmood 2005, 45). Thus, these neighborhood mosque groups seek to ground Islamic principles in the practice of everyday life by serving as the organizational center for many activities, from the dissemination of religious knowledge and instruction, to the provision of a range of medical and welfare services to poor Egyptians (Mahmood 2005, 3). In doing so, they participate actively in the moral reform of the Egyptian society they advocate for. If, according to John McCarthy and Mayer Zald, we define social movements as a “set of opinions and beliefs in a population which represents preferences for changing some elements of the social structure” (McCarthy and Zald, cited in Staggenborg 2012, 6), the women’s piety movement in Cairo could be considered a social movement “that may or may not be turned into collective action, depending on pre-existing organization and opportunities and costs for expressing preferences” (Staggenborg 2012, 7). In that case, the women’s piety movement could be considered a social movement, its emergence being contingent to the same socio-historical conditions from which stemmed the Islamic Revival. Its relatively restrained repertoire of action would not make it any less of a social movement because disruptive collective action is not a mandatory element in this definition. Moreover, according to the same theory, each individual mosque group could be considered to be a social movement organization (SMO) to the extent that each mosque group is an “organization which identifies its goals with the preferences of a social movement or a countermovement and attempts to implement those goals” (Staggenborg 2012, 7). The informal organization of these groups and the absence of a leading SMO or social movement ‘entrepreneurs’ could thus explain the incapacity of the women’s piety movement to engage into any sustained form of collective action other than the weekly religious meetings. It would also explain why this movement is considered “inconsequential to Egypt’s political landscape,” as the editor puts it on the cover of the book Politics of Piety. In summary, it is possible to conceive of the da’wa movement as a social movement according to some well-known definitions and conceptualizations shared within social movement scholarship. Indeed, this women’s piety movement has challenged power structure and status quo since the 1970s, and has thus proved to be enduring over time. It is transgressive in that the interpretation of sacred texts has been traditionally been the domain of men and that women’s meeting take place in mosques, which are still highly gender-based segregated spaces. Their claim for a religious reinvestment of daily life also disrupts secular state policies which entail the separation of the religious sphere from the public sphere. This message is also carried through the media, although not in the way a social movement scholar would expect; indeed, a new market for reprints of classical Islamic texts, as well as recordings of religious lectures available at little cost on the market, or televisual programs, have accompanied the increased popularity of Islamic classical knowledge and virtuous conducts (Mahmood 2005, 79). Finally, the mosque groups are social organizations that allow for the creation of a collective identity. They also provide the movement with a network that crosses the boundaries of class, social status and neighbourhoods. However, critiques of McCarthy and Zald’s definitions of social movement as preference structures have pointed to the fact that social movements consist of more than just “politically motivated organizations with an explicit mandate to seek change in public policy” (Staggenborg 2012, 8). In fact, as organizations, mosque groups don’t even target the state; rather they seek change in culture and mentalities. Additionally, in Mahmood’s ethnography, we get the impression that mosque groups are the only organizations that compose this social movement; yet effective and efficient social movements include multiple organizations, and the interactions between those organizations are crucial to the movement’s dynamism and influence its strategies and outcomes (Staggenborg 2012, 7). Thus it would be possible to consider the piety movement as a particular cluster of SMO that participate in their own way in a transnational movement like Islamic feminism. Islamic feminism is a transnational movement that seeks to reinscribe questions of gender and women’s rights into Islamic thought and practice. In other words, Islamic feminism “is a feminist discourse and practice articulated within an Islamic paradigm” (Badran 2009, 242). As such, it challenges both the more western-centric conceptions of feminism as well as sexist readings and interpretations of the sacred texts. It emerged with Islamic reformist thinking at the end of the 19th century and, since its beginnings, has been immersed both within intellectual and activist circles. For example, Margot Badran (1995) demonstrates how feminist movement advanced the nationalist cause and worked within the parameters of Islam in the case of Egypt’s anti-colonial struggle. Indeed, Islamic feminism denounces common feminist claims that feminism is antinomic to religion, as well as western colonialism and neocolonialism. At the same time, it critiques jurisprudence in Muslim societies that was elaborated through a masculine and sexist point of view, the marginalization of women in the writing of history and the appropriation of religious practices and knowledge by men to the detriment of women (Ali 2012, 24). Concretely, Islamic feminism exists and expresses itself through the production of texts, conferences and symposia, as well as networks and organizations that educate and advocate for women’s rights both at national and transnational levels. The da’wa movement in Cairo is part of a broader Islamic feminist movement to the extent that “the piety activists seek to imbue each of the various spheres of contemporary life with a regulative sensibility that takes its cue from the Islamic theological corpus rather than from the modern secular ethics” (Mahmood 2005, 47). Indeed, the women participating in this movement reinscribe daily life issues, and questions of gender among them, into an Islamic religious frame through a re-reading of the Qu’ran and classical Islamic texts. In doing so, “the mosque movement’s goal is to introduce a common set of shared norms or standards by which one is to judge one’s own conduct, whether in the context of employment, education, domestic life, or other social activities” (Mahmood 2005, 47). It could be argued that in denouncing the ‘westernization’ of Egyptian society, the participants of the da’wa movement also indirectly address issues related to women such as unequal pay, unequal distribution of domestic tasks, sexism in advertising, commodification of the woman's body, female sexuality, etc. They also attempt to reclaim their religion from Western stereotypes portraying Islam as a backward religion associated with terrorism (Moghadam 2004, 53). The idea of Islamic feminism itself as a social movement is contested among scholars. Margot Badran, for example, contends that in the Egyptian context it is inappropriate to speak of a feminist movement, because gender activism “is mainly pragmatic rather than political in the more highly-organised or self-conscious sense” (1994, 203). This echoes the aforementioned critiques by Suzanne Staggenborg (2012) of social movement as preference structure. In the same vein, a reading of Omaina Abou-Bakr’s account of Islamic feminism in post revolutionary Egypt (2012) provokes a reflection on how thin the line between ideology and social movement can be. Indeed, Abou-Bakr does not refute the term Islamic feminism, but her chapter illustrates more intellectual activism rather than direct challenges to a political order. It is thus possible to argue that neither the da’wa movement nor Islamic feminism are social movements because they lack clear social-institutional location, as well as tactics and modes of action. Indeed, it seems that none of the women’s pious meetings, intellectual productions on Islamic sacred texts by female scholars or self-help organizations by and for women target the state or other institutions with disruptive repertoire of actions like those witnessed in other social movements. Thus the women’s piety movement in Cairo, as much as Islamic feminism, are not social movements per se, even though they may serve as catalysts for collective action in the future. In fact, Mahmood (2005), Abou-Bakr (2012) and Ali (2012) justify the relevance of their respective work by inscribing it in the recent Arab Spring and by highlighting the participation of women in Egypt’s overthrow of the Mubarak regime. Interestingly, Suzanne Staggenborg and Verta Taylor propose an alternative way of conceptualizing the women’s movement: “feminism is seen as a socially constructed collective identity that emerges out of the interactions and accomplishments of participants in women’s networks and organizations engaged in struggles for change in women’s status and opportunities” (2005, 44). Moreover, the emphasis on social movement community is central to their argument. They define it as “a variety of loosely connected actors—including individual activists, movement organizations, institutionalized supporters, alternative institutions and services, and cultural groups—who share and advance social movement preferences” (Staggenborg and Taylor 2005, 40). Abou-Bakr, Omaina. 2012. “Le féminisme islamique et la production de la connaissance: perspectives dans l’Égypte post-révolutionnaire.” In Féminismes islamiques, edited by Zahra Ali, 165-184. Paris: La Fabrique éditions. Ali, Zahra. 2012. “Introduction.” In Féminismes islamiques, edited by Zahra Ali, 13-36. Paris: La Fabrique éditions. Asad, Talal. 2002. “The Consctuction of Religion as an Anthropological Category.” In A Reader in the Anthropology of Religion, edited by Michael Lambek, 114-132. Malden: Blackwell Publishing. Badran, Margot. 1994. “Gender Activism: Feminists and Islamists in Egypt.” In Identity Politics and Women: Cultural Reassertions and Feminisms in International Perspective, edited by Valentine Moghadam. Boulder: Westview Press. Badran, Margot. 1995. Feminists, Islam, and Nation: Gender and the Making of Modern Egypt. New-Jersey: Princeton University Press. Badran, Margot. 2009. “Islamic Feminism: What’s in a Name?” In Feminism in Islam: Secular and Religious Convergences. Oneworld Press. Dekmejian, Richard Hrair. 1980. “The Islamic Revival in the Middle East and North Africa.” Current History 78:169-79. Mahmood, Saba. 2005. Politics of Piety: The Islamic Revival and the Feminist Subject. New Jersey: Princeton University Press. Moghadam, Valentine. 2004. Toward Gender Equality in the Arab/Middle East Region: Islam, Culture and Feminist Activism, HDR Office Occasional Paper. New-York: UNDP. Snow, David. 2004. “Social Movements as Challenges to Authority: Resistance to an Emerging Conceptual Hegemony.” Research in Social Movements, Conflicts and Change 25:3-25. Spivak, Gayatri Chakravorty. 1988. “Can the Subaltern Speak?” In Marxism and the Interpretation of Culture, edited by Cary Nelson and Lawrence Grossberg, 271-313. Urbana: University of Illinois Press. Staggenborg, Suzanne. 2012. Social Movements. Second Edition. Toronto: Oxford University Press. Staggenborg, Suzanne and Verta Taylor. 2005. “Whatever Happened to the Women’s Movement.” Mobilization: An International Journal 10(1):37-52. Zald, Mayer N. 2000. “Ideologically Structured Action: an Enlarged Agenda for Social Movement Research.” Mobilization: An International Journal 5(1):1-16. See also Charles Hirschkind’s ethnography The Ethical Soundscape: Cassette Sermons and Islamic Counterpublics (2006) which explores in great details how this popular media has affected the political landscape of the Middle East in the last decades.